Alexey Pehov is the award-winning author of The Chronicles of Siala, a bestselling series in his native Russia. His novel "Mockingbird" was named Book of Year in 2009 by Russia's largest fantasy magazine, "World of Fantasy. "Andrew Bromfield is an editor and translator of Russian works. He is a founding editor of the Russian literature journal "Glas," and has translated into English Sergei Lukyanenko's Night Watch series, among other works. --Chris Claremont, bestselling writer of the X-Men and Wolverine"Toothy, gritty, and relentless. Alexey Pehov sneaks up on you and fascinates with the wry voice of a young Moorcock. Clear space on your shelf--you'll want the whole series." 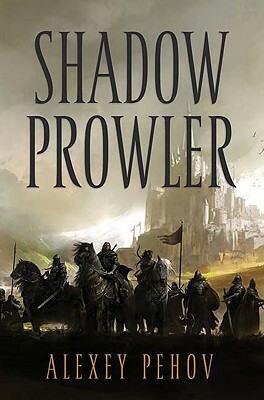 "Shadow Prowler is a fresh, exuberant take on territory that will be familiar to all fans of classic high fantasy. Alexey Pehov introduces a cast of charming, quirky, unsavory, even loathesome characters in a fast-paced, entertaining adventure."